This October 13, 2015 webinar has recently become available to non-NOHRA members for a $30 fee! To register, click here. With elections just around the corner, one of the most popular topics we are being asked about by employers right now is the implications of the legalization of marijuana in the workplace. 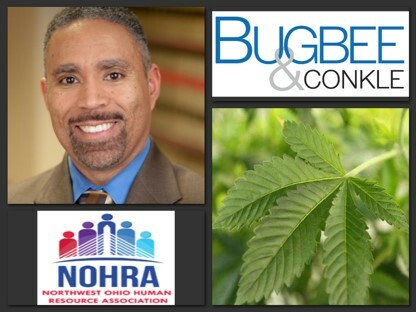 The Northwest Ohio Human Resources Association (NOHRA) and attorney Mark Barnes have teamed up to address this topic in a one hour webinar in which Mark will review application of legalization of marijuana to specific laws in Ohio: OSHA, ADA, Workers’ Compensation; and effect on employer policies such as prohibitions, testing (for cause and random), safety policies, hiring and discipline. This webinar will take place October 13, 2015 from 12:00 p.m. to 1:00 p.m. and is approved for 1.0 HRCI credit and 1.0 SHRM re-certification credit. This event remains free for all NOHRA members.